Co-developed by an electronics engineer and a primary school teacher, the MiniSparx program is sensitive to the needs of the age group (8-12) while being technologically relevant. All staff have valid Working With Children checks and we maintain a 1:5 teacher to student ratio for exceptional attention to each child. 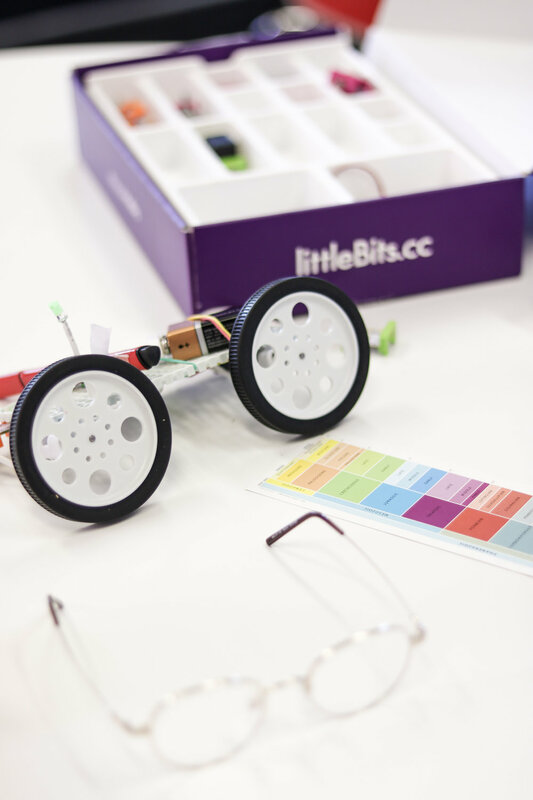 Our programs incorporate the award-winning littleBits technology kits. The skills in demand in the future lie at the intersection of technology and humanity. While computer coding is a valuable skill, we still need to teach our children the importance of team-work, as well as how to solve problems in the real world. 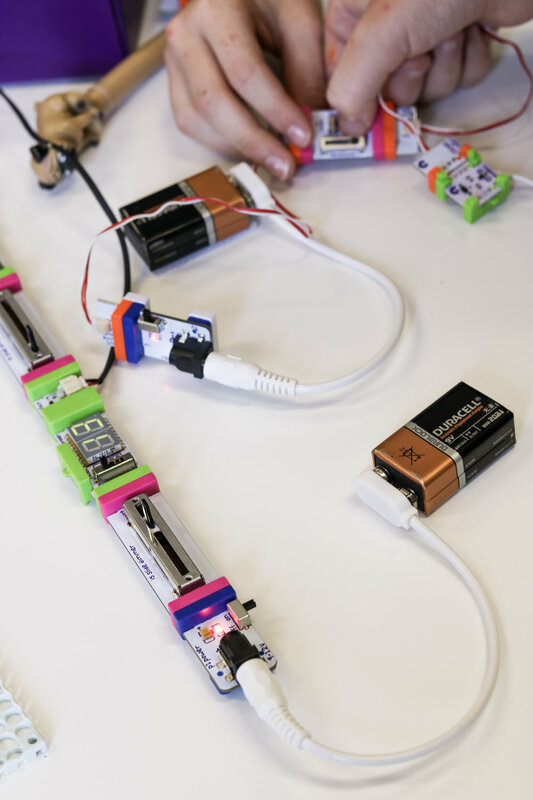 MiniSparx is a unique program full of guided self-discovery and exposure to the amazing world of robotics. 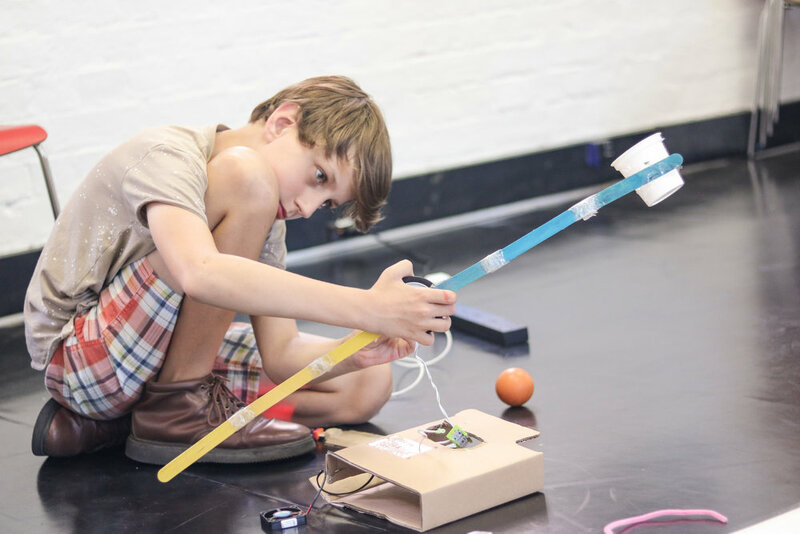 Aimed at children aged 8-12, we focus on capturing the imagination with graduated challenges that provide gratification at each stage. MiniSparx participants will form teams with their peers and work together to understand the capability of technology, and how it can be applied to solve challenges. So What does a MiniSparx Workshop look like? Team based creative problem solving. Controlling sound, light and movement to solve challenges. Practical experimentation with physical building blocks. Interpersonal skill development in a problem solving environment. An appreciation of the ability to manipulate the physical world with technology. Practical problem-solving and experimentation experience. A personalised MiniSparx certificate to take home. While healthy snacks will be available throughout both days, please provide your child with a packed lunch. MiniSparx was developed collaboratively by an engineer and a school teacher, both with years of experience in their respective fields. They joined forces to share their knowledge and create a learning environment for children to explore technology. Future programs will be run by qualified teachers and an engineer trained by the creators of MiniSparx! Ewelina Raftery is a dedicated primary school teacher. Her passion is reaching children that don’t always fit in, and nurturing their belief in their own potential. Ewelina is a digital native and is constantly evaluating technology that has the potential to improve the classroom experience. Heath Raftery is an experienced electronics engineer and is highly regarded in the industry. He believes in life-long learning and tutors on a variety of subjects with consistently glowing feedback from students. Heath is highly in tune with the changing future of work, and has been asked to present on this topic on a number of occasions. You can find us at our NewieVentures headquarters, which is in the eighteen04 co-working space on the TAFE Hamilton Campus.